The rupee rose to a three-month high in trade today on strong FIIs inflows and increased dollar sale by exporters. Weakening of the dollar and higher domestic equity markets also improved sentiments for the rupee. The currency hit an intra-day high of 69.92 level in trade today. The domestic currency gained 67 paise to rise past the $70 level after US Federal Reserve Chairman Jerome Powell suggested the pace of interest rate increases might slow. The statement spurred US stock markets to an eight-month high and led the dollar lower, resulting in gains for the rupee. Forex dealers said the greenback's weakness against some currencies overseas, bullish trend in the equity market as well as easing crude oil prices also supported the rupee's upward movement. Brent crude prices were trading at $58.68 per barrel, down 0.14% from their previous close. India imports 81 per cent of its crude oil needs and is the third-largest importer of oil after US and China. Since payment of crude oil prices is done in dollars, a lower crude rate leads to lesser amount of rupee being converted to dollar, thereby weakening the US currency. Rupee dollar rate is a function of demand and supply. When demand for dollar is high, rupee becomes weak and when dollar demand is low, the Indian currency gains. Meanwhile, the Sensex was trading 357 points or 1% higher at 36,071 level. The Nifty too gained 100 points to 10,828 in afternoon trade. Foreign institutional investors have poured in Rs 9,080 crore into the Indian market this month compared to Rs 38,906 crore withdrawal in October leading to strenghtening of the domestic currency. Inflow of funds in Indian market leads to a rise in the value of rupee since there is more demand for the home currency from foreign investors after entering the country. 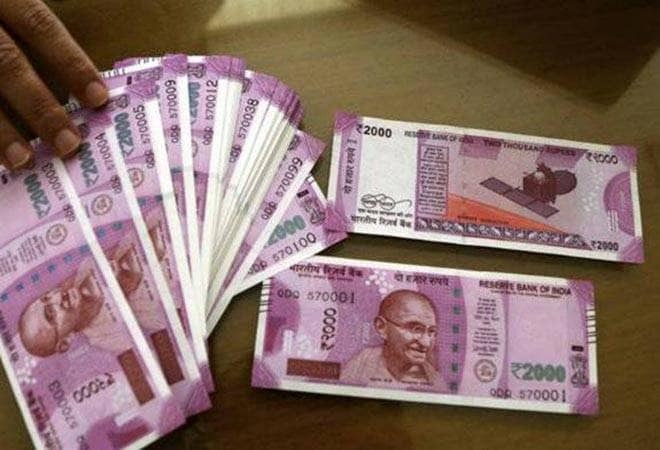 On Wednesday, the rupee climbed 17 paise to close at 70.62 against the US currency as global crude oil prices slipped below the $60 per barrel mark amid a smart recovery in domestic equity markets.